Need Residential Carpet Cleaning in Bloomington? Great Office and Home Carpet Cleaning! 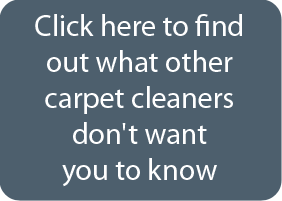 If you are looking for a chemical free way to clean your carpet, then you need to contact the carpet cleaner professionals at ChemFree Carpet Cleaning. 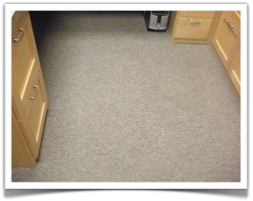 We are a leading carpet cleaning company that is located in the Bloomington area. Our mission is to help take your dirty, dingy, stained carpet and restore it so that it looks new again. We accomplish this mission by using some of the most state of art technology on the market. The products we use in our cleaning projects are environmentally safe due to the fact that none of them contain any chemicals. We use hot atomized H20 to help lift stains from your carpet and to also remove any type of allergen that might be in the carpet that could cause your allergies to flare up and cause problems. The prices for our services are affordable, and you will not have to deal with paying extra due to hidden charges, as our prices are all-inclusive. If you would like to contact us about using our services, call today at 952-451-5001. The certified technicians that work for ChemFree Carpet Cleaning are dedicated to creating a pleasant and memorable cleaning experience with all of our customers. We have a reputation for being one of the best commercial carpet cleaners in Bloomington, due to our dedication to excellent service and products that do not contain hazardous chemicals. Our philosophy held is that of Green Chemistry cleaning. We desire to help provide your home or business with safe, clean carpets by using our hot, atomized H20 cleaning systems. Regardless of the size of the job, our professionals are ready to serve you and provide you with the best experience possible. No one wants to have to clean the blinds or upholstery rugs in their home. These items are incredibly difficult to get clean, and any attempt to do so can be a frustrating experience. One of the best ways to beat the frustration and get the results you want is to use a blind cleaning company like ChemFree Carpet Cleaning. The professionals at ChemFree Carpet Cleaning can help remove all of the dust that has become caked on your blinds and can even get in the hard-to-reach cracks. We also guarantee that your rugs will not become over saturated and will dry fast. Call us today at 952-451-5001.